Removal lorry – ETA – 24 hours and counting! Where has the time gone? Who did this to our back bedroom? How did we ‘suddenly’ get to 24 hours before the removal lorry arrives and still be the proud owners of an ever-expanding ‘to do’ list? and how is it that there are still people (sorry!) that we haven’t yet managed to catch up with before we leave? Perhaps the phrase ‘tempus fugit’ best explains it all! Tasks today include packing up the rest of the house, organising what we take in the car with us (bedding for us and Leo the dog, food and drinks, paperwork …) and finalising the spreadsheet to show which items go into which rooms on which floor in the new house! So the move is only a few days away … we’re multi-tasking with packing the house, picking up our beautiful curtains (thank you Bella! ), arranging the bedding delivery, ensuring the curtain poles are ready for collection, doing a bit of work this afternoon (hello Connect Plus! 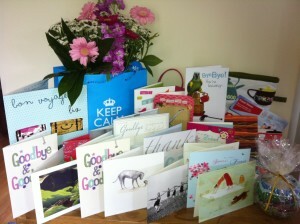 ), answering enquiries from people who want to visit our B&B – plus all the ‘normal’ moving things that you do! 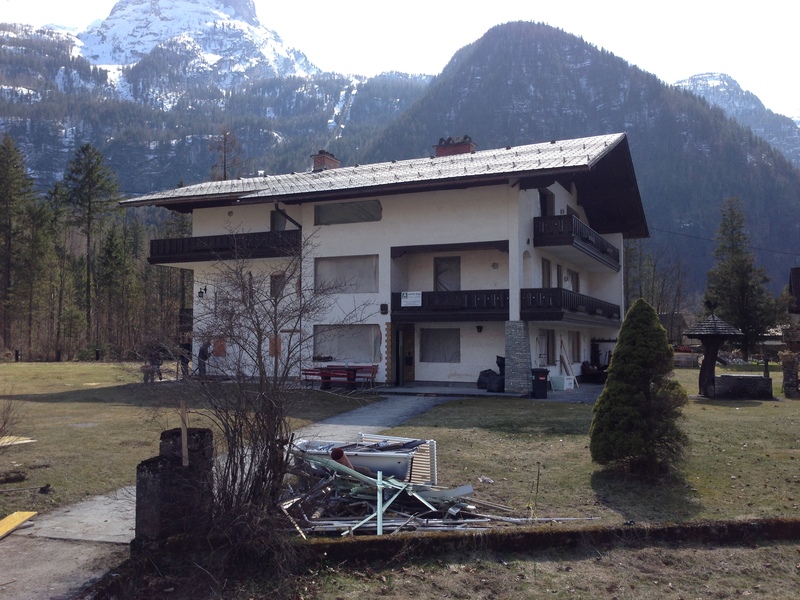 The huge removal van will be arriving on Monday to take our belongings … meanwhile, Paul and I will be travelling via an evening Eurotunnel crossing and travelling to Austria in the car … with Leo the dog (… who doesn’t travel well – mmm… wish us luck!) 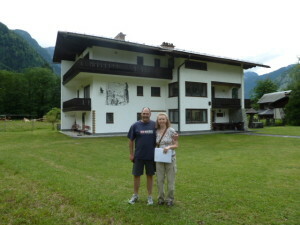 We will drive through the night and hope to arrive into our new village of Obertraun on Tuesday morning. 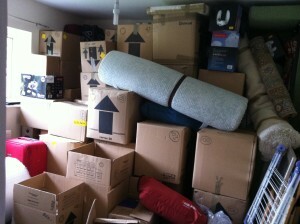 Are you moving house or changing jobs and making changes? – hope all’s going well for you too! Website is about to be launched!! 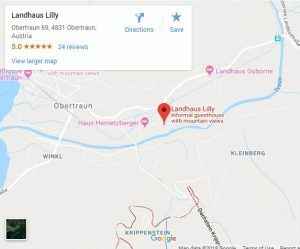 Thank you to the lovely Marion Ryan of Online Business Gym who has been patiently at the helm and has created our Landhaus Lilly website! Like all such websites – there’s room for more photos and information, which we will add over the coming weeks and months – but for now, we probably need to launch ourselves to the world! To stay in touch with the latest news etc – please ‘Sign Up’ to receive our news (on the right hand side of the screen) – thanks! Still loads more to do … and then the water arrives! 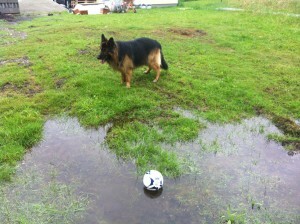 The whole of Europe is flooded – including our new house! The cellar is full to the ceiling and the remaining oil in the oil tank have now mixed with the water in the cellar – so it needs to be removed by contamination specialists. Obviously, this is not great news when we’re supposed to be opening in a matter of weeks. The boiler is totally kaput as well. Everything needs drying out and hopefully it can be refurbished somehow … this is not cheap and has not budgeted for. We arrived for a scheduled visit to Austria to review progress just days after the flood. On arrival, we saw the tanker taking away the contaminated oily water. This is the new pond in the garden a few weeks after the flooding. There are decisions to make – what should stay and what should go? We want to have a mix of the old and the new so we keep some heart in the building. But much of it is too old or damaged to keep – so more skip fodder. We select triple glazed windows – making new windows where there were once walls, blocking up other doors to make windows and moving doors and windows around. 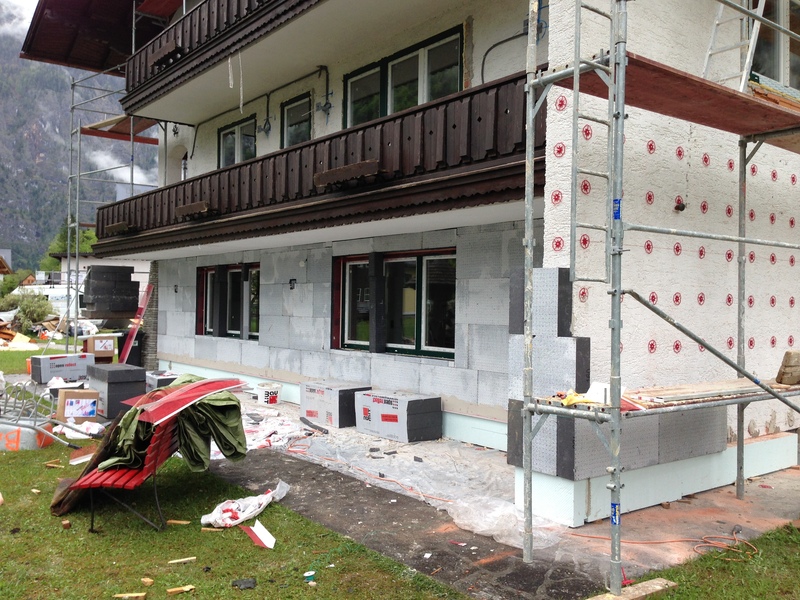 We need to select a colour for our new home – decide on the best insulation and options for how this is put around the building (some inside, some outside). There are bedrooms to plan, with the new en suite bathrooms to design and choose, new electrics with lights and socket placements all-important. What about curtains, bedding, furniture, floor and wall coverings. There are kitchens to design as well … the list seems endless – and we do much of it remotely whilst we’re still working in the UK. It’s a busy time! The snow is still on the ground when we we take another visit to see our possible purchase. Who knows if we can get the mortgage, do the works that are required and open and run a B&B in the space of a few months? It all looks a bit different in the snow as well. The house is being heated to make sure it doesn’t freeze completely – but you still need your coat and hat on indoors! Seems surreal that we are thinking of leaving the UK with secure, stable jobs and try something out that we’ve never done before. Could this be ‘the one’? We’d been really disappointed a few months earlier when another house in the area was sold, before we could sell our house in the UK. It seemed like everything else was falling into place – but it wasn’t to be. So we continued the search and specifically focussed this time on the village of Obertraun on Lake Hallstatt. Beforehand we had a wider search area but for us, nothing seemed to compare to the peace and quiet, the local attractions of Hallstatt, the lake, the Krippenstein mountains – and opportunities to walk, hike, cycle and ski – all on the doorstep!